You’re over in the UK for a series of shows soon. Are you looking forward to coming over here again? We are very much looking forward to it. It’s been a few years since we last toured around the UK. We wanted to get out there and play around the UK and go where the people are rather than just do a show or two around London. You were due to tour with Glenn Hughes last year but it didn’t quite happen. What happened there? In the past couple of years we had to cancel shows because we were stretched for time and some of the tours we were trying to do weren’t the right fit and fortunately we found that out beforehand. That wouldn’t have been good for anybody. The fans wouldn’t have liked it and we wouldn’t have liked it. We went over to Europe instead of touring with Glenn Hughes. There were difficult things going on behind the scenes and it just didn’t work out like we wanted it to. What are you planning for your shows this time? As we haven’t been to the UK in a while we’ll have to play the songs we haven’t played in a while that everyone wants to hear. We will make sure we play the stuff we like to play and you like to hear. We have some new songs too that we want to road test on you guys. The very last night of your tour is up here in Newcastle. Do you usually plan something a little extra special for the last night of the tour? I think the more North we go, the more metal crowd we get so I think we’ll have to play a little harder when we get up there. We’ll have to bring out the real headbangers for that one. Do you tend to have mixed feelings when a tour comes to an end? Relief and looking forward to a break on one hand but sadness that it’s all done on the other? By the end of a tour we tend to figure out what were the good things and what were the bad things so when we get to the last show we have the feeling that surely it can’t be the last show. It always seems to go over so quickly and just when we’re starting to sound something. It’s always a shame when a tour ends as we feel like we’re really getting into our stride at that point. Before the tour you will have a new album out called Shade. It’s been eight years since your last album, The Chair in the Doorway. What have you been doing in those intervening years? We’ve been making this album. It’s taken quite a while for us to make this record and try and capture where we’re at. There’s a lot we want to say and a lot of things are happening in this world that we wanted to give a voice to and to speak to our particular place in this world. It’s not just the bad stuff but some of the good stuff as well. We’re men of a particular age and the world keeps spinning and we have to acknowledge what that feels like. Did you have a clear idea of what direction you wanted to head in or did that develop over time? We had done a show here in New York City at the Apollo Theatre and it was for the 100th anniversary of the birth of Robert Johnson. So that got us thinking of how we’d interpret the Blues. How could we deconstruct and reconstruct the Blues and what we came up with was this album. 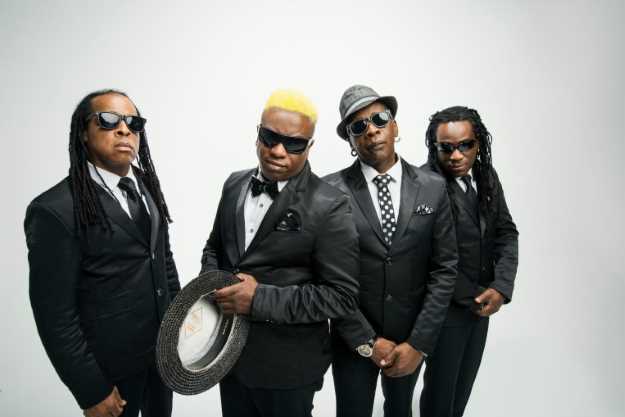 It’s Living Colour’s interpretation of the Blues in the 21st century. That was the plan and I think we’ve certainly achieved that. You worked with producer Andre Betts, who has worked with Madonna, Chaka Khan and Lenny Kravitz in the past. Why did you decide to work with him? We’ve known Andre for a very long time and we worked with him in the past on Time’s Up. As much as we wanted to base our album on the Blues we wanted a more modern sensibility to it. Andre has worked with some very interesting people and his main focus is Hip Hop so sonically he has slightly different ideas to what a traditional Blues record would sound like and it was an interesting mix. It gives us a different perspective on the music and keeps it new and fresh for us too. Who were those Blues artists that influenced you in the creation of this record? For me in particular it’s Muddy Waters, Howlin’ Wolf, Sonny Boy Williamson, Little Walter and Leadbelly. I love all those traditional guys and artists like Big Momma Thornton and they were all major touchstones for me in particular. Jimi Hendrix, Santana and The Animals, they took the Blues and helped create something new and that formed the basis of so much of the music around today and we want to follow in that tradition. Will you still be retaining some of your trademark Living Colour funk groove too? Well we can’t do without it so that groove is most definitely there. When Living Colour first broke in the 80s with Vivid, you were completely different to anything else at that time. Did you realise when you were making that record that you’d be trailblazers for a new music form that combined hard rock and funk? We grew up with Parliament, Funkadelic and P Funk and heard that mix of rock and funk. Even The Doobie Brothers had the mix in their music. It’s not like we were reinventing the wheel we just grew up in that world where it already existed and we just did our own take on that and fortunately for us people heard it and liked it. Playing such diverse music must have opened the doors for some interesting tours with a diverse range of bands and artists. Do any stand out for you in particular? We were always up for the experience of playing to as many people and as many different audiences as we could. Sometimes the audience would look at us strangely and wonder why we were up there on the stage. That was sometimes hard but once they heard us they started really getting into it. Did you face much resistance from within the industry with labels being unsure who to market you to? It was always something that we were up against they just didn’t know where to put us. I think in the end even those who resisted us the most were converted. You had a lot of interest, though, including from Mick Jagger. How did a previously unheard of band manage to get Jagger involved in their record? We’ve got Doug Wimbish our bass player to thank for that. He hadn’t joined us at that point but we had known him for a long time. He was playing bass with Mick Jagger at that time and in the city there was a bit of a buzz about Living Colour and Mick Jagger asked Doug what he knew about us. He said that we were great and he should check us out. He ended up coming to CBGB’s with Jeff Beck to check us out so no pressure there. He really liked us and wanted to do some work with us which was incredible for us. You’ve kept a stable line up for years since Doug Wimbish replaced original bassist Muzz Skillings in 1992. What has kept you together as a unit when so many other bands fall to pieces? We didn’t grow up as school friends or anything. We met in the 80s through the Black Rock Coalition that wanted to show that there was a lot more to black music than you heard on the radio. There is a whole world of music out there that people needed to hear. Vernon and I are from the same neighbourhood although he’s a bit older than me but we met at a birthday party and struck up a conversation and that’s how we first met. The band actually existed before I got there and through those first conversations he asked what I did. I said I sort of sang and he said he sort of played guitar and was in a band and I ended up going along and joined the band. As a band we get on really well personally and musically and we’ve stayed friends all of this time. It works so well for us. Are you still in touch with Muzz? I do still see him. I saw him fairly recently. He’s playing guitar now making his own music. Why did you adopt the British spelling of “Colour” rather than the American way? We just wanted to be different and any way Vernon was born in England and I think that’s where it came from. The plan is to tour all over the place to support our new record and play as many places to as many people as possible. My personal plan is to tour behind this record for the next six to nine months and then try to get back in the studio and start writing for the next record. It takes us too long to make records quite frankly and I’d like to get back in there much sooner and not have an eight year wait for the next one.